Unless I'm making crepes, I want my pancakes to be fluffy stacks of cloud-like wonderment. 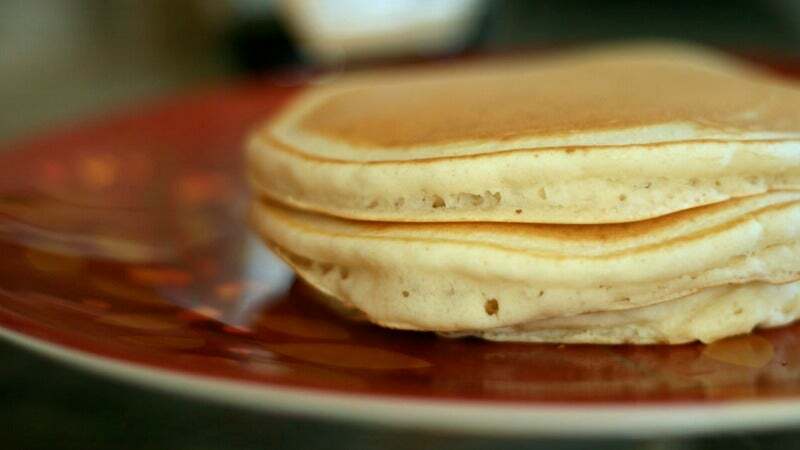 Luckily, it's really simple to add oomph to pancakes: You just have to separate your eggs. For all intents and purposes, eggs really are two ingredients, and treating them as such can improve your pancake game. By first combining the yolks with the buttermilk and stirring the whites in at the very end, you provide a little extra structural integrity. You don't even have to whip them — seriously, Kristen Milgore of Food 52 did a side by side comparison and found that unwhipped egg whites provided just as much bounce as their whipped friends. This works for any pancake recipe, just "separate your eggs, whisk the dry ingredients, add the egg yolks to the wet ingredients, combine the wet and dry together, then add the egg whites, and let it hang out for 5 minutes or so while you heat your [frying pan]". Fry, flip, eat and repeat.